Dr. Moon works in partnership with a world-wide network of committed and innovative peace-builders based on common values, aspirations and principles. 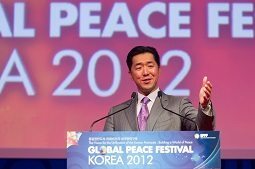 Dr. Hyun Jin Preston Moon is founder and chairman of the Global Peace Foundation. 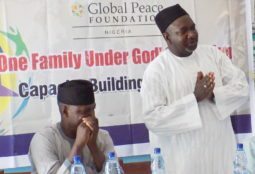 The Global Peace Foundation (GPF) is an international non-sectarian, non-partisan, nonprofit organization, which promotes an innovative, values-based approach to peacebuilding, guided by the vision of One Family under God. GPF engages and organizes a global network of public and private-sector partners who develop community, national, and regional peace building models as the foundation for ethical and cohesive societies. 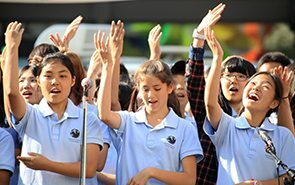 The Global Peace Foundation’s unique approach includes three essential aspects: interfaith leadership, empowering families and youth, and building a culture of service. GPF currently works in 24 countries with a growing network of partners to develop significant programs and initiatives that address critical issues to peacebuilding. 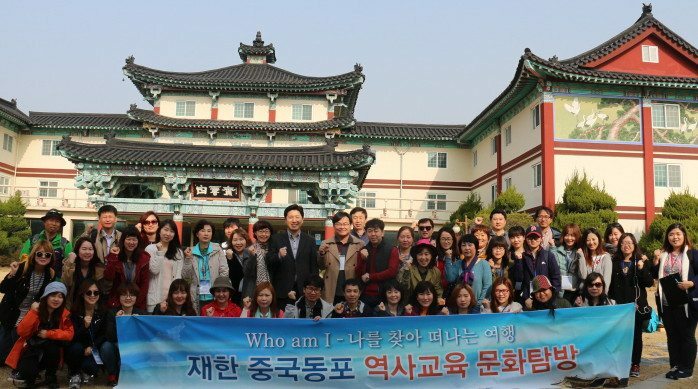 In Korea and the Northeast Asian region, GPF has led substantial efforts to advance awareness and approaches to the unification of the Korean peninsula through grassroots educational and cultural programs, public events and scholarly conferences. Emphasizing Korea’s spiritual and ethical heritage handed down through the traditional Korean family model and its 5,000 years of shared history, GPF works to encourage recognition among all sectors of civil society and other stakeholders that unification is the most effective and realistic means of advancing regional peace and development. Since the publication of the Korean edition of the Korean Dream in 2014, there have been several notable developments that, taken together, indicate significant shifts in public sentiment towards North-South Korean reunification. 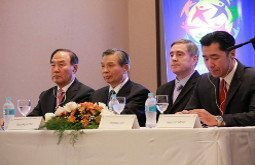 GPF has worked with Korean civil society leaders on a number of initiatives, outlined in the 2nd preface, to develop a movement that reaches beyond unification to bring substantial social change on the peninsula, in the Northeast Asian region and beyond. 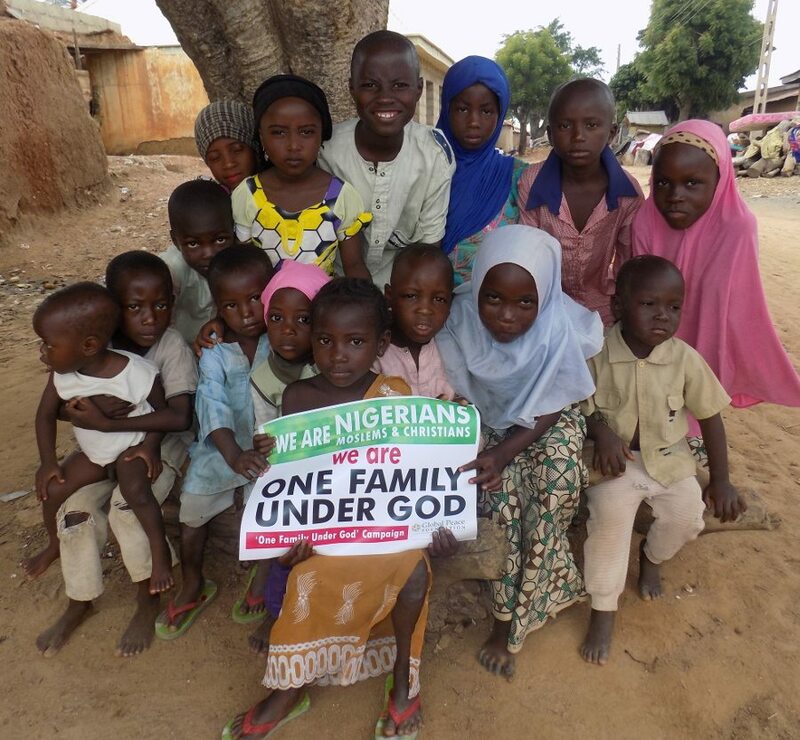 The One Family under God Campaign in Nigeria draws upon the moral authority of Christian and Muslim leaders and traditional rulers to create peacebuilding models on the local level to develop social cohesion and counter and prevent violent extremism. The annual Global Peace Interfaith Young Leaders Assembly as well as ongoing Global Peace Volunteer camps have gathered young leaders representing South East Asia’s religious diversity to foster understanding based on universal principles and shared values, and cultivate working relationships while addressing the region’s challenges. The Asia-Pacific Peace and Development Service Alliance (APPDSA) promotes youth participation in the development of strategies for job growth and cross-border and cross-cultural youth service networks. International Young Leaders Assembly is a premier partnership-driven leadership development program that empowers promising young leaders by emphasizing the importance of vision, service and entrepreneurship as the foundation of moral and innovative leadership. On the regional level, the Global Peace Foundation has launched the Latin American Presidential Mission and Africa Mission on Leadership, Peace Building and Service, engaging former heads of state in promoting sustainable development and good governance. All-Lights Village works with communities in developing nations to identify development priorities and support sustainable solutions. The Rivers of Peace Campaign is an approach to building social cohesion and preserving heritage through the development of a culture of service among youth, providing education about river ecology, and promoting health and sanitation through public participation and partnerships. 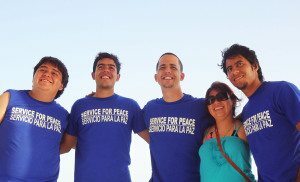 Mission – Service for Peace involves volunteers in ongoing community development programs throughout the world. Programs are designed to further the growth and development of individuals and communities through the shared experience of voluntary service.Service For Peace was founded by Dr. Preston Moon in 2001. Service For Peace is one of several programs initiated by Dr. Moon that establish models of innovative approaches to problems of underdevelopment and conflict across the world. These programs operate in Southeast Asia, Africa, North and Latin America, Northeast Asia and Europe. Vision – With the support of Service For Peace, communities throughout the world will be models of community based development, with people of all backgrounds working together to fulfill a common vision of well being. Community Based Development – Service For Peace (SFP) focuses its energy and resources on collaborating with community members in Communities of Peace in order to address significant development issues. In doing so, we adopt an approach that is often referred to as Community Based Development (CBD). It is very different to the idea of massive amounts of foreign aid being provided by developed nations. Poor and marginalized people have often been viewed as the target of poverty reduction efforts but the CBD approach turns this perception on its head and treats communities and their institutions as assets and partners in the search for solutions to their development challenges. SFP believes that effective community development has to be community based. However, SFP provides ongoing assistance to Communities of Peace through a variety of local and international projects that address local issues as identified by community partners. One of the most significant impacts of Service for Peace programs is that volunteers leave with a genuine understanding of the importance of discarding the traditional view of developing nation residents as victims. Volunteers are transformed by a number of things during Service for Peace programs, but repeatedly reflect that their interactions with community partners completely change their understanding of international aid, identity, and purpose.